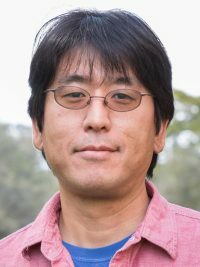 Professor Okada’s research interests are centered on phenomenological aspects of particle physics, in particular, new physics Beyond the Standard Model (BSM physics). It has been clear in recent years that an extension of the Standard Model (SM), i.e. BSM physics, is needed to explain a number of experimental observations such as solar and atmospheric neutrino oscillations and the existence of non-baryonic dark matter. Among other things, the SM suffers from a serious theoretical problem, the gauge hierarchy problem, which should be solved by BSM physics at the TeV scale. Therefore, one of the most important subjects in the current particle physics is to reveal BSM physics from both theoretical and experimental sides. This is the main theme of Dr. Okada’s research, along which he has been working on a wide range of BSM physics, from model building to phenomenology at high energy collider experiments, cosmology, and astrophysics. Since many BSM models can be tested at the Large Hadron Collider (LHC), which will start operation soon, Dr. Okada’s present research interests and motivations are definitely on LHC physics. He has been investigating implications of new physics models for the LHC experiment, in particular, exploring supersymmetric models and extra-dimension models as an interesting alternative to supersymmetric models. Discovery of the Higgs boson is one of the most important missions at the LHC experiment. One of Dr. Okada’s research projects is on new physics models which can give rise to some modification in Higgs boson production processes at the LHC and therefore affect the search for the Higgs boson. Some of his projects on high energy collider phenomenology are based on collaborations with experimentalists. Cosmology and astrophysics can provide valuable information on BSM physics independently of collider experiments. Dr. Okada is particularly interested in dark matter physics and has been investigating new models for dark matter particles, which have a close relation to neutrino physics and Higgs boson phenomenology at the LHC. Cosmic-ray electron/positron excesses recently reported by PAMELA and FERMI satellite experiments are currently a hot topic in particle physics and cosmology since they might originate from annihilations/decays of dark matter particles. This topic is also included in Dr. Okada’s current projects. Dr. Okada received his doctoral degree from the Tokyo Metropolitan University in 1998. He joined the faculty of The University of Alabama in 2009.